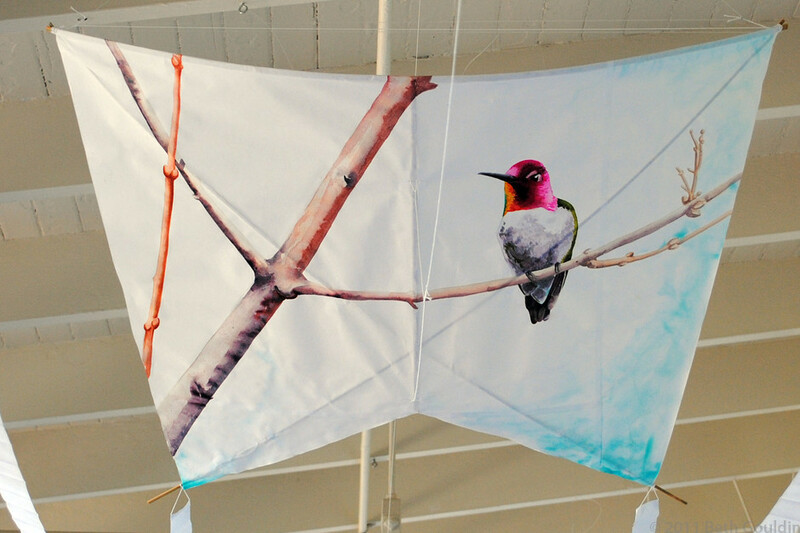 Kerori kite - masa/washi, bamboo, nori paste, cotton string Painting – watercolor and gouache Approximately – 30”x40” $300 This is my resident male Anna’s Hummingbird. He and a couple little females frequent my hummingbird feeder and taunt my cat through my screen door. One day as I was refilling the feeder, I had left the screen open on the door and I turned from the sink to see him hovering just outside of my door, eye-level, watching me fill the feeder. He zipped back and forth a few times, eyeing me all the while and impatiently chirping that I hurry up and finish with that feeder! In addition to nectar, Anna’s hummingbirds also eat flying insects!